After a whirlwind and exhausting week, I had the most relaxing chill weekend ever. It involved a lot of couch time and a couple glasses of this apple harvest punch. Last week began with lots of recipe testing, wedding dress shopping (yes, I’m still on the hunt), a quick trip to Portland, and driving back and forth from the east side to the west side of Los Angeles meeting wedding photographers. As soon as I landed, I headed straight for Blue Star Donuts! I spent whatever free time I had lost in the cookbook section of Powell’s Books. Portland is definitely one of favorite places to visit and I cannot wait to go back with Alex. I made this punch last Christmas for our family’s annual party. Everyone loved it. It took me almost a year, but I’m finally sharing the recipe. The recipe listed here is on the light alcohol side. When I served it to my family, I added a lot more whiskey. Adjust according to your tastes. 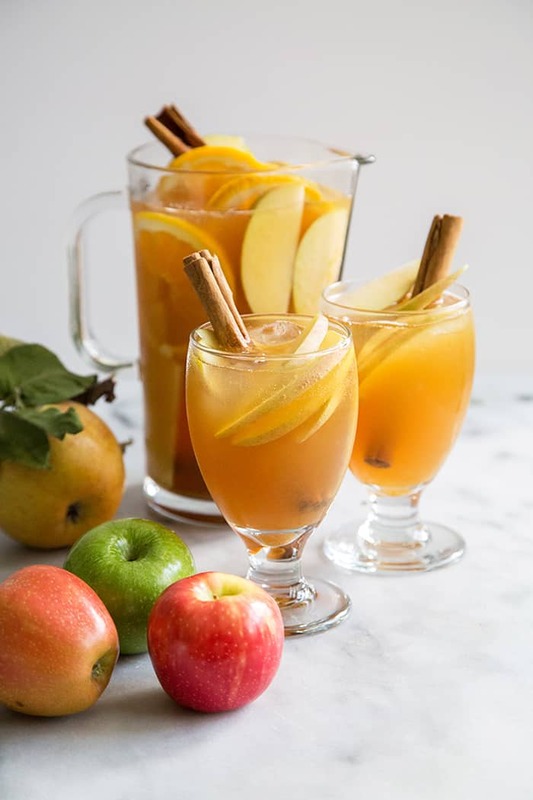 This punch packs all my favorite autumn flavors into one sip. Apple cider fresh from the apple orchards is best, but in a pinch unfiltered apple juice also works. Similar to sangria, once you finish the drink, you’re left with tasty soaked apples to munch on afterwards. Cheers to a happy and productive week, friends! P.S. HAVE YOU SEEN THE NEW STAR WARS: THE FORCE AWAKENS trailer? It gave me chills and I am counting down the days until December !!! 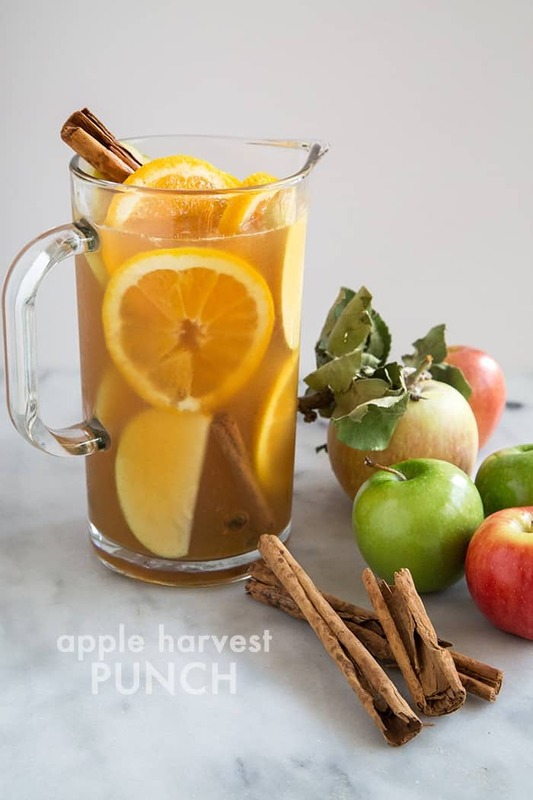 In a large pitcher, combine apple cider and whiskey. 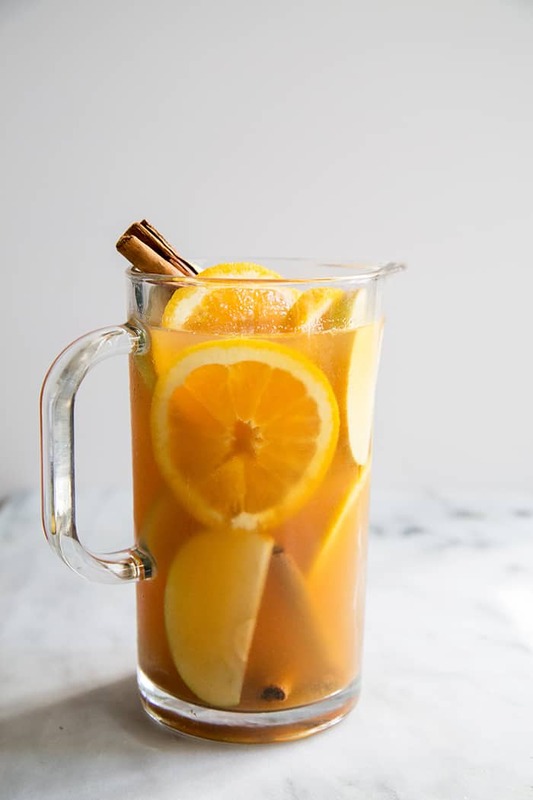 Add lemon juice, orange bitters, sliced orange, sliced apples, and cinnamon sticks. Stir to combine and let chill in the fridge for at least 2 hours, overnight is best. Before serving, add hard apple cider and ginger beer. Stir to combine and serve immediately. 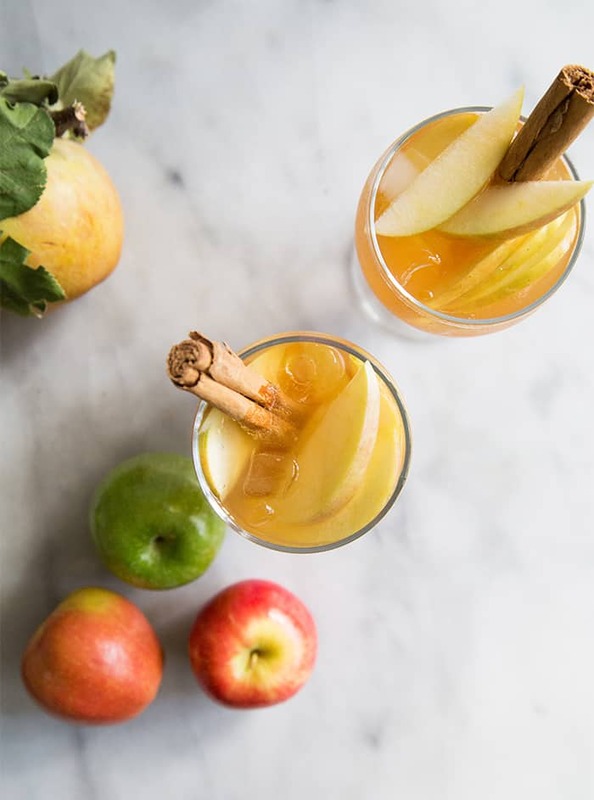 Garnish with apple slices and cinnamon stick. Mrs. Doubtfire! One of my all time favorite Robin William’s movies! This punch sounds delicious Maryanne! Sounds like the perfect Thanksgiving cocktail! It was go great meeting you last week! Glad you got to go home and relax and detox from the chip overconsumption. :) When you come back to Portland, let me know! Oooh, yum, and I bet this one packs a wallop! Sounds and looks delicious. Yay for a relaxing weekend! I would totally want this on a lazy fall weekend too! It looks amazing! Also, Mrs. Doubtfire? Perfect weekend addition. Ooooh, what a great looking punch, perfect for the weekend! Oh I’m so pinning this! AND making it and loving it! Gorgeous! 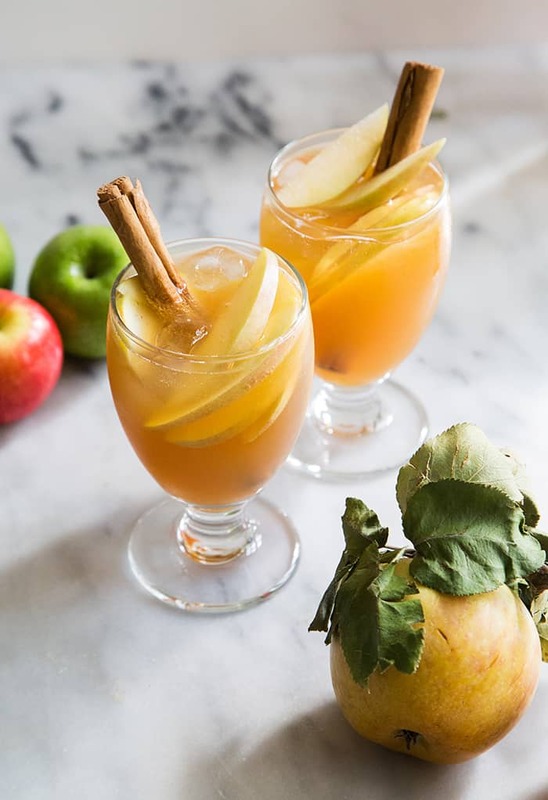 What a perfect fall drink! Perfect for fall, I love it!